The Zero Defect, Zero Effect or ZED scheme is a programme that will ensure that all the MSMEs are delivering top quality product and using clean technology. This means that the public will no onwards be able to use clean technology products and they will also set parameters that are specific to each industry. The main purpose of this scheme is to match the global quality control standards. The MSMEs are a crucial portion of the economy and by creating good quality products the country will be able to uplift its infrastructure. In a nutshell, it is a step towards the development of the country and also for using cleaner products. The very first indication of implementing ZED was given by PM Narendra Modi during his Independence Day speech in 2014. He mentioned that in the future India will be producing more technology that is suitable for the environment and that meets world quality standards. 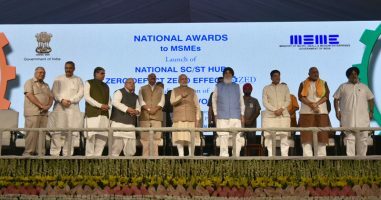 The ZED scheme is the cornerstone of the Make in India project which aims to turn India into a manufacturing hub and generate jobs and increase incomes and boost the overall economy of the country. The MSME controls around 38% of the economy in India and has 110 million employees under it. However, the MSMEs were, until now, unregulated. Through the ZED the government is targeting this sector to bring out the best and to create more jobs. What will be the benefits of ZED? There will be a direct betterment of the environment and our natural surroundings. We already know that the pollution rates in some of the largest cities like Delhi and Kolkata are much higher than danger levels. There will be additional employment generation because of this scheme. As the MSMEs get more active, there will be more skilled workers needed across all the chains and therefore by implementing ZED the employment sector will be directly affected in a positive way. The MSMEs today do not get recognized in the world and this is why many of the manufactured products do not sell worldwide. By implementing ZED the products will be more far and wide recognized and it will establish the credibility of the Indian goods in the world market, making India progress economically. Also, international customers who seek investment in India will be encouraged. The operations will be more streamlined and there is expected to be a reduction in costs. Lower costs means higher profits for the companies and higher GDPs. Therefore once again directly affecting the National income. The companies will be given a benchmark based on which they have to work around the procedures. The main focus will be to enhance the quality and to uplift the environment. So what is the government going to do to help them achieve this? The main aim is also to help the MSMEs evolve and to do that the government will provide them training and funding so that they are able to climb up the value chain and able to produce good quality products. The word ‘Zero Defects’ in the title is very significant. It means that the government will emphasize on producing items that have zero defects – or ones that will be able to meet the quality parameters. The MSMEs will be encouraged to deliver only such zero defect products. The assessment parameters will be specific to each sector. For example, the textile industry will have a certain set of parameters while the food processing sector will have another. The government is going to be very thorough with this. Sustainable growth will be the trajectory that the MSMEs will be pushed towards. The aim is to encourage a sustainable environment and therefore all the parameters will be to encourage the same. This means that in the coming years the companies will have to adjust their manufacturing costs and units according to the requirements of the government. However this will mean more exposure for them as the items will then be exposed to a larger customer base worldwide. This means there’s a chance to earn higher profits. It only remains to be seen if the companies are going to take the leap and invest higher as well.